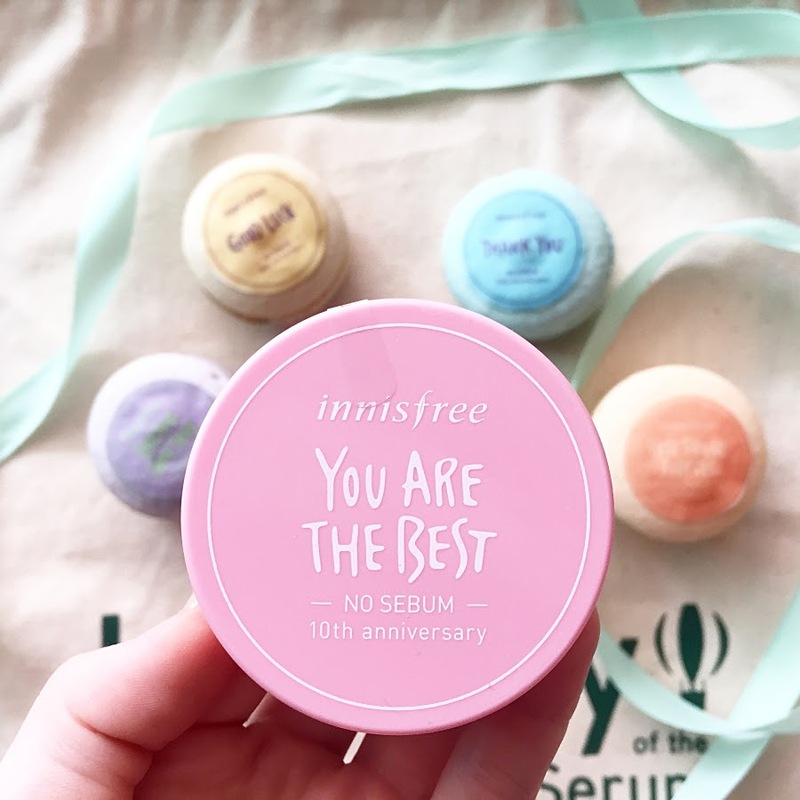 JQ Talks: Innisfree, Thank You For The Encouraging Words! Taking a step up, innisfree totally made it in my list of beautifully packaged products that actually works. Well, okay maybe not all their products are fantastic. Before this, I have tried a couple of their skincare products and it was alright, it works fine but it wasn't anything that I would shout it over the rooftop. Their makeup products though, are magnificent. The colours are brilliant and overall worth the price. 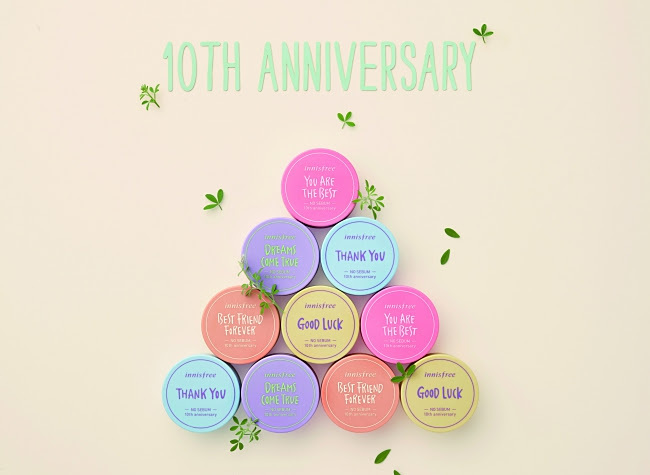 Recently, they've sent me this Special Edition innisfree famous and No.1 Best-selling powder in celebration of the 10th Year Anniversary of No-Sebum Mineral Powder. It's available in an array of pastel colours and petite cases, expressing their gratitude to its fans. The one that I got states 'You Are The Best'. When I received this, I was in the midst of so much workload, specifically carrying the weight of "I Need To Finish My Thesis Proposal And Presentation" was bogging me down, making me believe less in myself as I felt that I was slacking on my blog and youtube. This was a great reminder to tell myself I am awesome and this too shall pass. Sometimes, it's priorities. Just continue to believe in what I love doing and take a step at a time. Giving this as a gift definitely can help encourage and boost someone's confidence at that moment in whatever situation they are in. The four other designs are Thank You, Good Luck, Best Friend Forever, and Dreams Come True. I've tried this loose powder out for the very first time and I'm addicted. I'm always reaching for this, it's seriously that good. The powder is so smooth and fine, so far the best loose powder I've ever used. I love it! Other than it being so great to keep your face from being an oil factory, it's a great dry shampoo, and antiperspirant too when you in need of a quick fix! This gorgeous set will look so good on my work table in my new office. Coming soon in a few months time. :D The perfume diffuser thingy (0408) smells strongly like men's perfume. Not that I'm complaining, I don't mind the scent, it reminds me of my awesome fiancé! 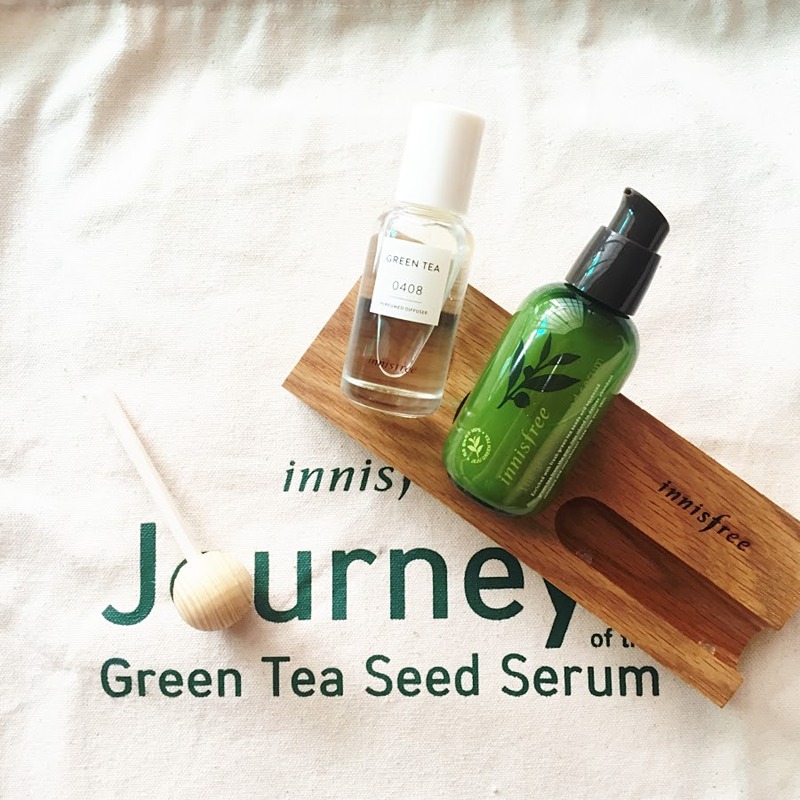 As for the innisfree Green Tea Seed Serum is really popular for hydrating the skin. It's from a range that provides moisture from the vitality and concentrated nutrients of green tea leaves that are organically grown in innisfree's own green tea garden on the pristine island of Jeju. It's the no.1 Global Bestseller and most beloved serum by Korean women for a reason. It's also known as "3-second hydration serum", applied immediately after cleansing to help seal moisture within the skin from the first drop. It claims to have 5x better moisturising power due to the fact that the green tea leaves contain amino acids and minerals to keep the skin moisturised from deep inside. I don't know about you but this sounds pretty amazing and I'm definitely trying it out in June. Let's see if this will be featured in my June Favourite or not. Part of me is not quite sure about this because I've tried the Green Tea Seed Eye Cream and it didn't really do anything for me. I still have more than half in the pot that I'm most probably gonna use it as a moisturiser for my body. Let's take a moment to enjoy how adorable this is. The bag and the product packaging is so cute! No doubt, I'm gonna use the bag, it only make sense. Plus, the travel kit is enough to bring along for a 2 weeks (if I'm going anywhere at all) for a skincare fanatic like me. I'll go gaga without packing at least a cleanser and a moisturiser along with me, I get paranoid with having my face feeling dry. It will just go bad, quickly. 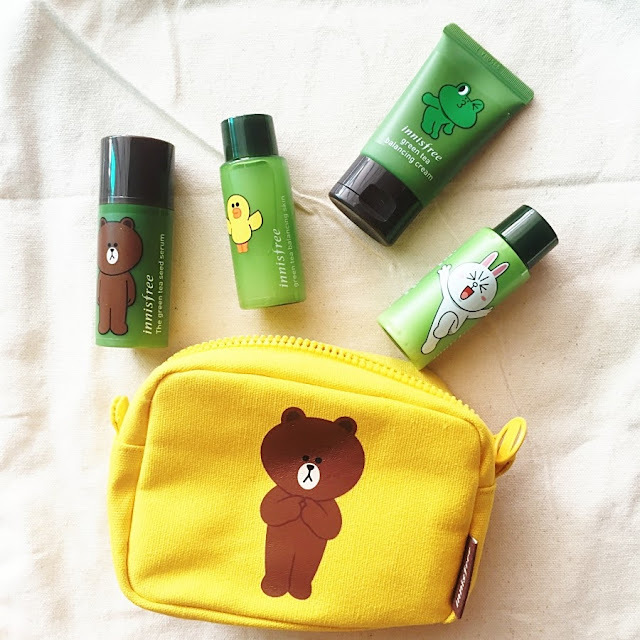 Overall, innisfree is good for skincare beginners and amazing for makeup for everybody. You really don't need to go all the way to Korea to get this, it's not much cheaper anyway with the whole Malaysian Ringgit being so small. I've wrote a blogpost about this before. 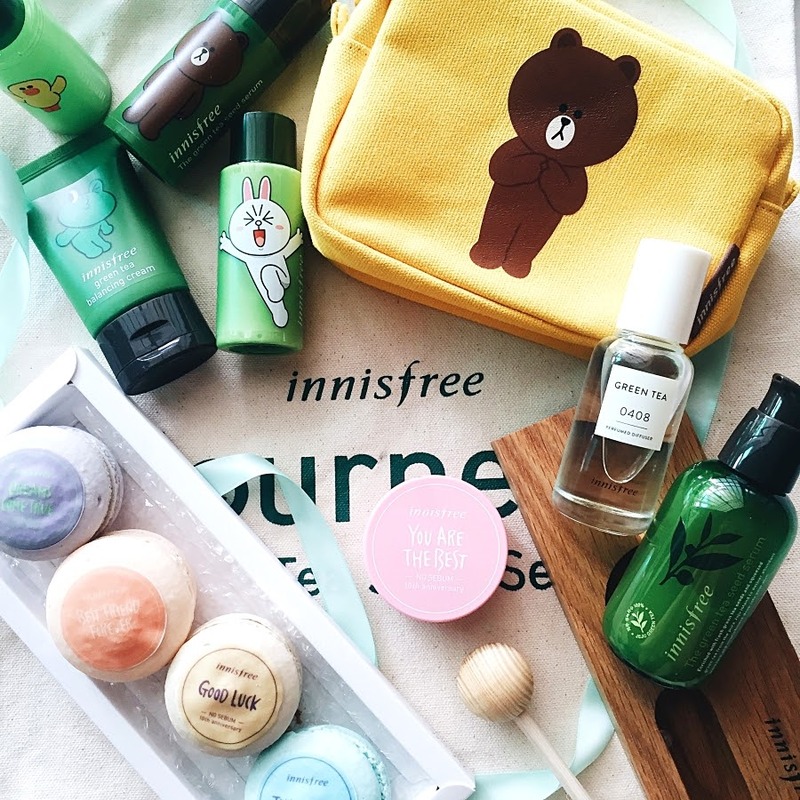 Check out my "Should You Buy Innisfree In Malaysia?" post here! Thank you innisfree for the lovely products. 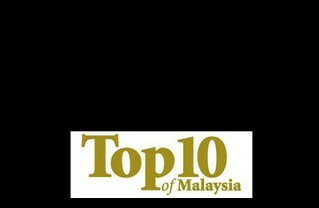 For more information, visit innisfree Malaysia Facebook Page. that's great! it's like a confident boost! Given the negative society we are living in, motivation like this is needed!